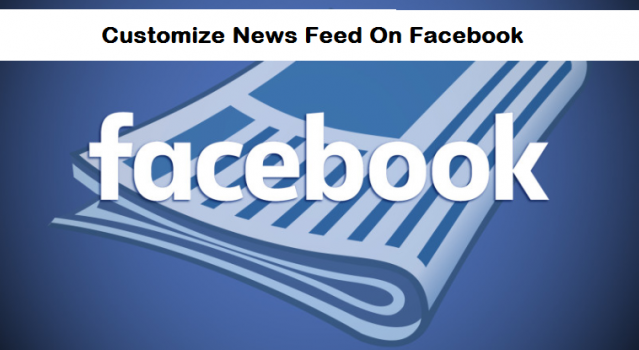 I’m about to introduce another intriguing how-to article that will help you to customize Facebook News Feed and edit your settings as well. The news feed is an important aspect of your Facebook app that allows you to edit and adjust some very cool features in your Facebook app that you probably didn’t know was there. 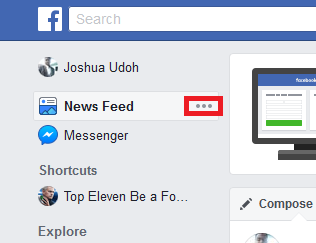 Note that, Customizing Facebook News feed can only be done properly via a PC, your Android device won’t show you the menu button you will need to click on to access the news feed option and edit whatever you want to edit. So when trying to customize your Facebook Newsfeed use a PC to fully customize to your taste. Basically, using a PC you will need to connect it to via Your Phone’s Hotspot by turning on your PC’s WiFi and connecting. Ensure to have a stable and excellent internet connection from your phone so that it doesn’t interrupt what you’re doing on the PC. Step 1: Open Facebook On your PC by going to “www.Facebook.com” and then input your Facebook account details to access your Facebook account. Step 2: When on the Facebook page, on the left corner of the same page, click on the menu button on the news feed tab. 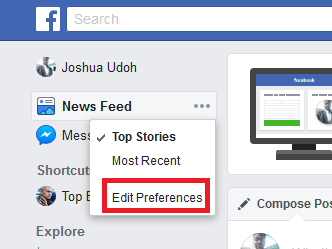 Step 3: Once you have clicked on the menu button a small dialog box will appear directly below it, on the dialog box, click on ‘edit preferences’ to access the preference options, where you can customize your news feed. Step 5: On that new dialog box, there are basically four options, the fifth option is a ‘see more’ option that opens up other options. Use each option and customize it to the way you want it to appear. 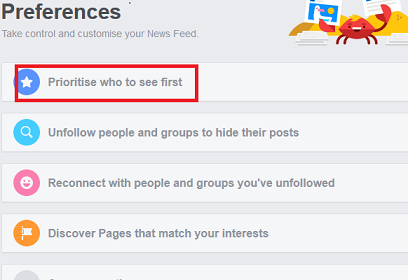 Prioritize who to see first: Allows you to set that friend on Facebook that you want to see first before anyone else. All their post and status update will be visible on your notification screen first. 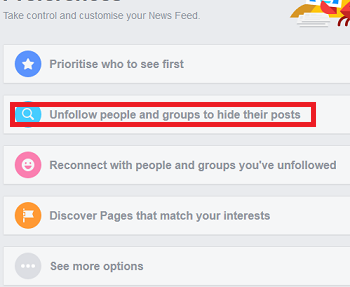 Unfollow people and groups to hide their posts: You can click on the second option to unfollow any friend you don’t want anymore and Facebook will automatically unfollow the friend you have selected. 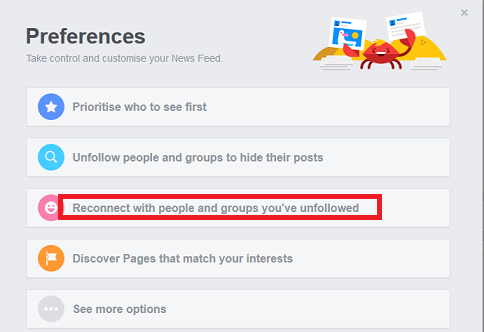 Reconnect with People and groups that you’ve unfollowed: This will allow you to follow any friend that you unfollowed, reconnect and reunite with posts from your unfollowed friends. 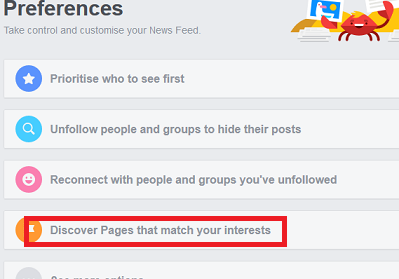 Discover pages that match your interest: Find pages on Facebook that you like and follow. 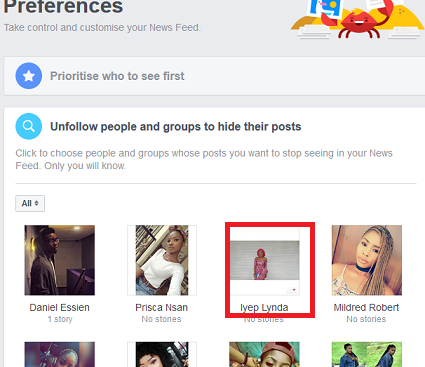 You have friends on Facebook that are on some certain pages since they are your friends on Facebook, their pages will show on your timeline, all you have to do is follow, and even related pages will be visible, follow as well if you choose to. 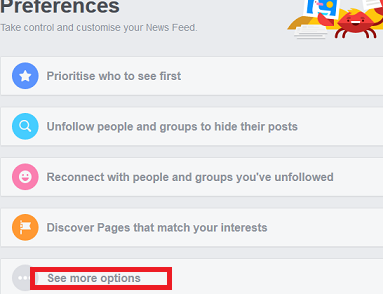 See more options: You can view more options and choose to customize your Facebook news feed further. 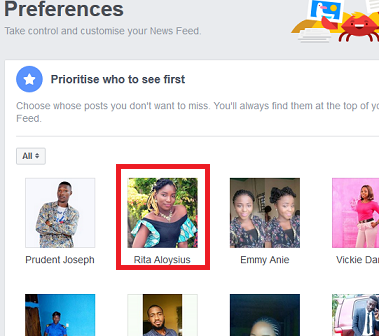 The Facebook news feed feature is meant to help Facebook users to personalize and customize Facebook News Feed and help them feel free on their own Facebook account, in terms of privacy and viewing certain posts and adding certain pages of your choice from around the world. The fact that this feature only shows up when you are using a PC isn’t cool for everyone obviously, but this is basically how it works for now. So, if you don’t have a PC, you could get one, log in your Facebook account and customize your News Feed. Whatever you customize on your PC and save, will automatically be saved when you resume Facebook on your Android device or iPhone. So, all your saved changes will take effect with or without a PC, but you need to customize with a PC first, I’m sure this is crystal clear to you all. Thank you for viewing this article, till next time bye.